Reprint. Originally published: as Exhibit Alexandra. UK: Michael Joseph, 2018. '2018'S MOST GRIPPING PSYCHOLOGICAL THRILLER' Stylist'Fresh. . . fascinating' Sunday Times She was his perfect wife, until she went missing . . . Alexandra Southwood has vanished. Her husband, Marc, is beside himself. It isn't long before the police are searching for a body. But Alexandra is alive - trapped, far away from her husband and young daughters. Desperate, Marc will stop at nothing to find the woman he loves. Even if it means discovering that he never really knew her at all. 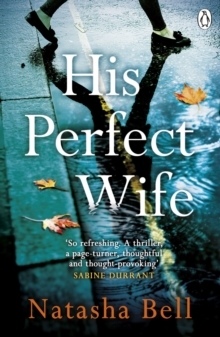 Because Alexandra is no ordinary missing person - but then neither is she quite a perfect wife . . . 'An astutely written, complex debut . . . even seasoned genre aficionados will be surprised' Guardian 'So refreshing.